WordPress is the “host” for Snowbird. Goodness knows how they do it. I’m practically computer illiterate. My friend, John, helped me do all the voodoo and set up the site last spring. That’s all I know. Except that I have had the most fun ever since, expounding on trivia, exposing bits and pieces of my soul, wrestling with forks in the path, detailing each step and turn, and almost always moving forward. At this ending of 2011, WordPress delivered a recital of useage and a celebration of all that went before. For instance, they have posted that it would take 5 trips of the New York subway which holds 1200 people to duplicate the number of “reads” on snowbird since it’s inception. THAT’S 6200! I’m not sure that I have known 600 people in my lifetime. Who are you? Do I know you? Do you think you know me? After baring my soul and my belief structure and my favorite things and my passions this past year – I hope you know me. I may have been flippant at times, but I have always been honest. I have spoken my heart as if I have been sitting at the judgment bench, and damn the consequences. I have unearthed surprises just by writing, hearing my thoughts pop out barely formed as I type. It has been a year of great change and transformation. WordPress states that the most readers of snowbird have come (unsurprisingly) from the United States, closely followed by Canada and India. In Asia (after India) there were 20% from Pakistan, 16 from Singapore, 8 from China and 4 from Vietnam. In Europe – 20% from the U.K., 11.4 each from Russia, Germany, France and Poland. And – bless their hearts – 100% from Oceania in the Australia continent. That could be 1 or 100 or more and that could be anywhere in the greater coral atolls or volcanic islands of the South Pacific. HELLO OUT THERE! It’s an eerie, but thrilling feeling to know that when I sit down at my computer and type my heart out and post my dearest thoughts, someone far across the world may pick them up and laugh or sigh or even applaud in recognition of our commonality. The report states that the posting “Mt. Faith” received the most readership. It was certainly the introspection which most accurately captured, if in brief, my lifetime search for a faith of sorts and the twisted journey that ensued, and the “omen” which awaited at this end. It makes me think I should perhaps expand upon that theme, doubling down into the quest where I had only begun to scratch the surface. WordPress says that the most comments were applied to the single entry “Frozen Storm”, and reading them back now, I suspect they speak of the fellowship of gardeners who share and cross-reference and gratefully communicate the knowledge of the earth. A more enthusiastic cadre I’ve yet to find. For myself personally – after “Mt. Faith”, I particularly atune to “Anniversary” which came spilling out from a mother’s love. And “Lyra Deara”, the story of our alien child which always makes me happy AND weepy. And “My Wish” about my darling Nell. And “The Girl in the Photograph” because it opens a door to my mother I didn’t know was there. And “Longings” for my father. And “I Married Adventure” because that is what I did. The reason and the journey have unfolded this past year. It has yet to end. 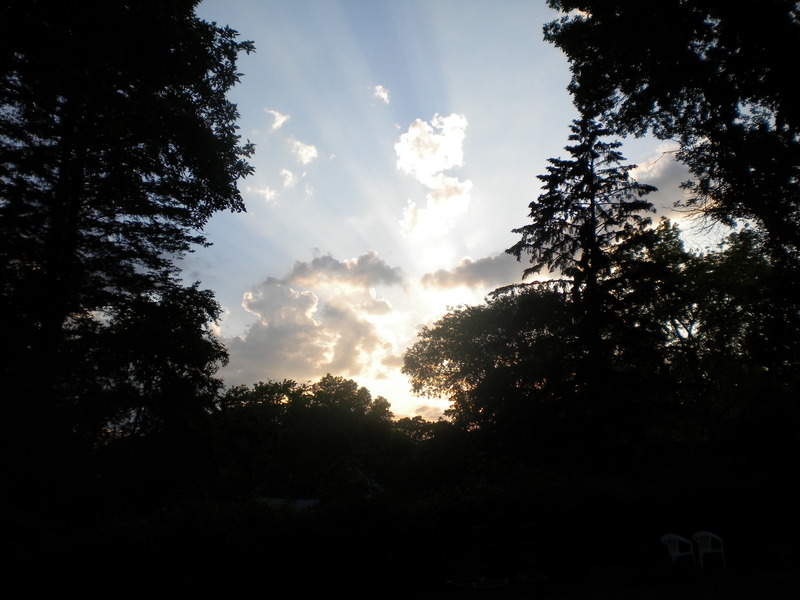 This entry was posted in faith, Family, favorite things, Gardening, introspection, minnesota life, MOVING, retirement. Bookmark the permalink.